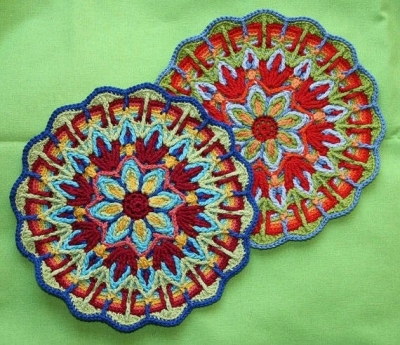 Awhile back I did a roundup of some of the most beautiful crochet mandalas I’ve seen online. But what if you want to make your own? 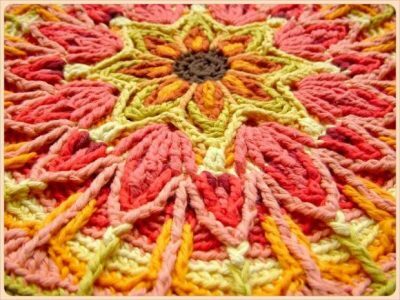 There were a few links to patterns in that post but here are seven more excellent crochet patterns for mandalas. 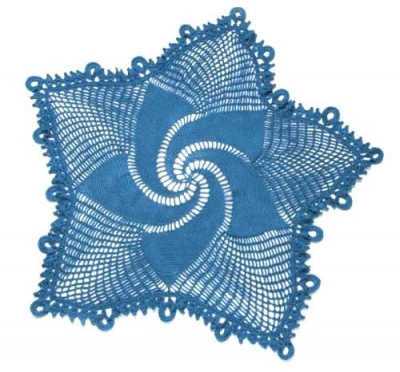 This roundup includes both free crochet patterns and ones that you can buy. 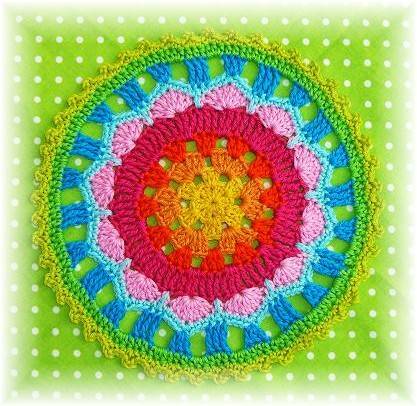 Barbara from Made in K-town shared a free crochet pattern for this beautiful springtime mandala. UPDATE: As of 2015, this blog no longer appears to be available. 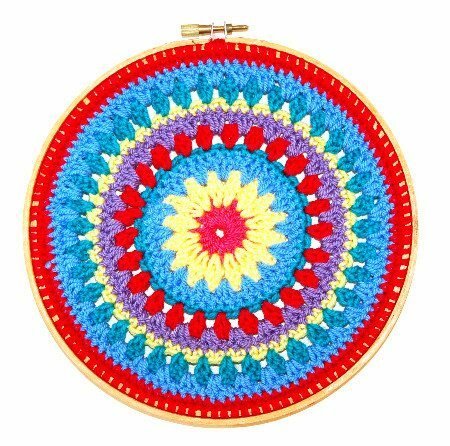 The free crochet pattern for this mandala made inside of an embroidery hoop is available from Mitten & Makings. 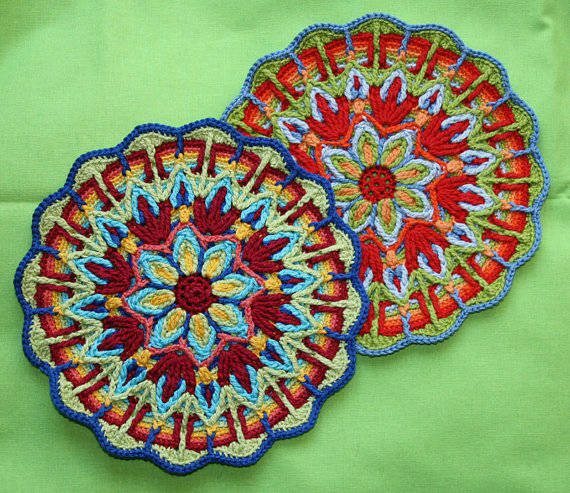 Crochet with Raymond has a great granny circle mandala pattern but her pattern I really love is this one for the African Flower Mandala. 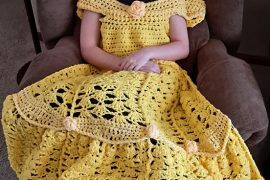 It’s a free crochet pattern. 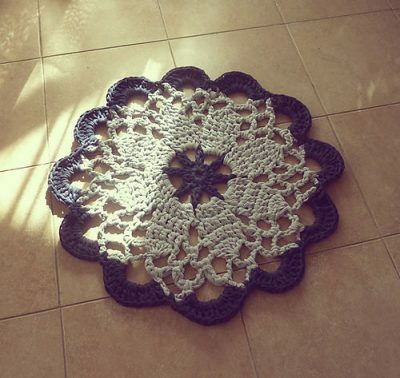 For something a little bit different you could try out the pattern for this Mandala Crochet Rug sold through Ravelry. 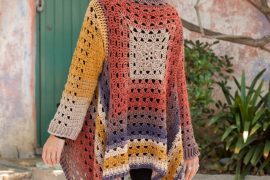 The pattern is by Sol Maldonado. It’s a pattern designed to be made with T-shirt yarn. 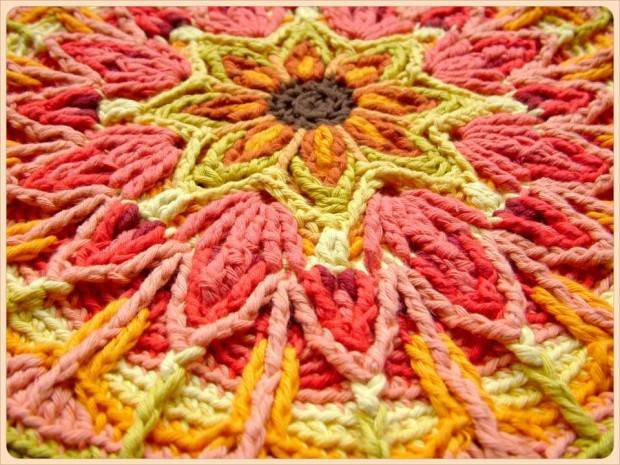 Another twist on a basic Mandala is this mandala-inspired throw. 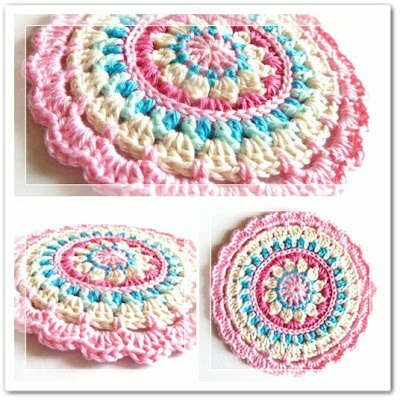 It’s by Shannon Mullett-Bowlsby and was featured in a Crochet World Magazine but is now available as a free download through Crochet World. 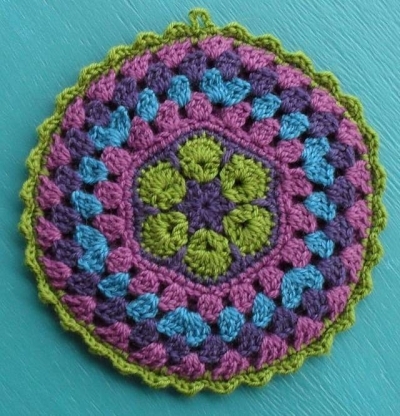 I just found your blog tonight while searching crochet bag patterns. I must say that I am very impressed! I love your blog and will be following it from now on. Very nice work! @luvmyferretz Thanks! 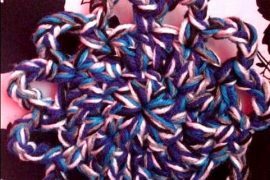 I try really hard to put a bit of something in here for everyone who enjoys crochet! I think I must be too much of a square for mandalas?? Thank you for the feature, I’m glad you liked my mandala! 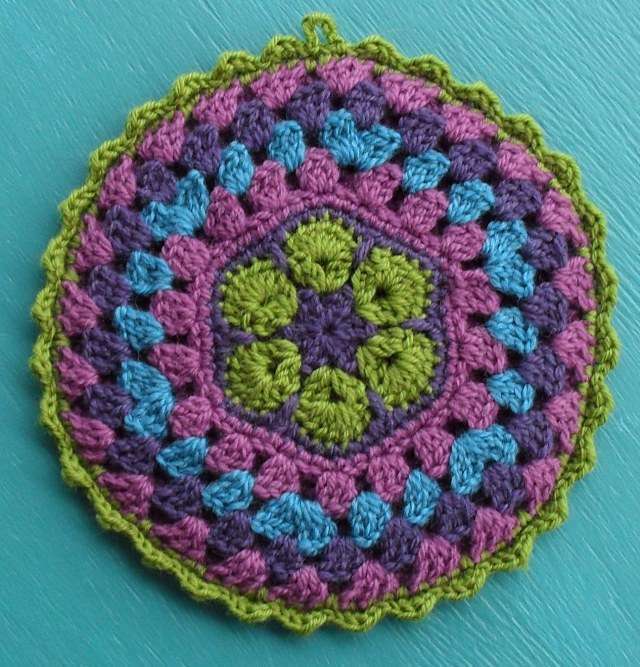 Some time ago, I’ve made the mandala from glueckskreativ (no.7), and I think there’s a second free mandala pattern on this blog. I can’t get the link to #7 to work. Is it broke? @joymar0808 I just checked and it currently says “website disabled”. I know that sometimes happens when sites are down for any reason – such as a a server issue or the person moving from one blog host to another. I’d check back in a few days and see if it’s fixed. I just finished my second mandala crochet rug. I crochet them with t-shirt yarn and a 12mm hook. Am almost done with writing out the pattern.